Each year, the Association of Fundraising Professionals presents awards to several individuals or organizations at its National Philanthropy Day Luncheon: Philanthropist, Volunteer and Emerging Leader of the Year, Outstanding Youth in Philanthropy, plus a new award for 2018, Innovator of the Year. But if Manuel and Rhoda provided the impetus for the foundation’s early days, it’s Neal and his wife, Donna, who led the charge to make it into what it is today. The couple moved their young family back to Cincinnati from out west in 1991 to be near extended family and to work more closely with Neal’s parents at the foundation. Both doctors of psychology, they re-established their practices in Cincinnati and found themselves getting more and more involved in philanthropy work. Before long, Neal and Donna were leading the foundation. “Our involvement with the foundation was to professionalize it by bringing greater amounts of structure and strategy, as well as staff,” Donna said. Their efforts paid off. In the last 27 years, The Mayerson Foundation has grown to serve and partner with existing organizations on a variety of causes, particularly the arts, health and wellness, education, civic engagement, Judaism and inclusivity for people with disabilities. They’ve also created a number of programs and founded nonprofit organizations in areas where they saw great need. One notable example is the foundation’s Service Learning Program, which encourages high school students from all walks of life to get more involved in their communities. It’s that program in particular that led Clare Blankemeyer, a longtime staff member at the foundation, to nominate Neal and Donna for the Philanthropists of the Year award given by the Greater Cincinnati Chapter of the Association of Fundraising Professionals. Full operations of the Service Learning Program, started in 1994, transitioned this year from the foundation to local organizations that will keep it going and growing. “Nominating them for this award in commemoration of all the work and good that went into that just seemed fitting,” Blankemeyer explained. 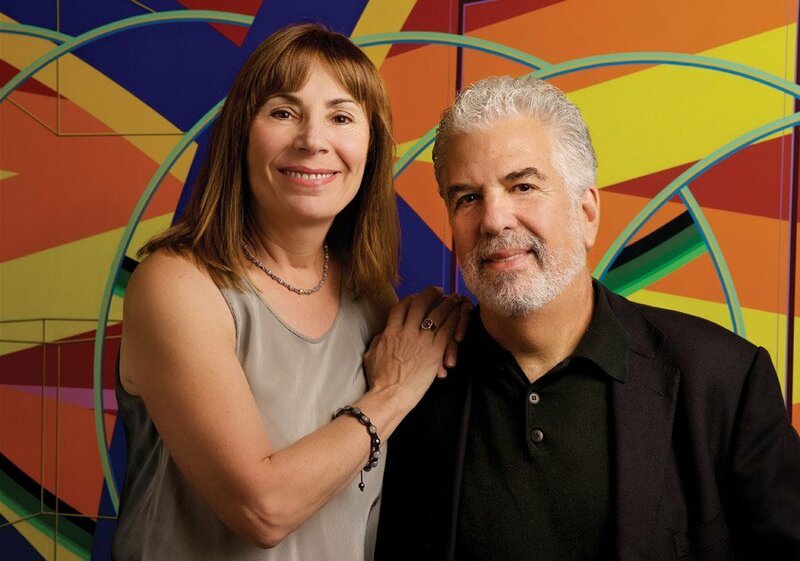 Perhaps the greatest strength Neal and Donna bring to the foundation, aside from a natural penchant for helping others, is the melding of their professional skill sets with the work of the foundation. The couple were early pioneers in positive psychology – the Mayersons partnered with famed psychologist Dr. Martin E.P. Seligman in co-founding the nonprofit VIA Institute on Character. The VIA Institute focuses on understanding and applying people’s best psychological traits. The Mayersons make a point of “looking for the positive” in their philanthropy work. “It made sense for us to try to bring science to the table in understanding what is best about human beings, as opposed to looking at when things go wrong in our lives,” Neal said. That approach has had a profound effect on the agencies they partner with, too. “What Neal and Donna do that’s unique is when they look at a program or organization or whatever it may be, they say, What are they doing right? What are their strengths? How can we help build upon those?” said Blankemeyer. The far-reaching effects of that sometimes surprise even Neal and Donna.